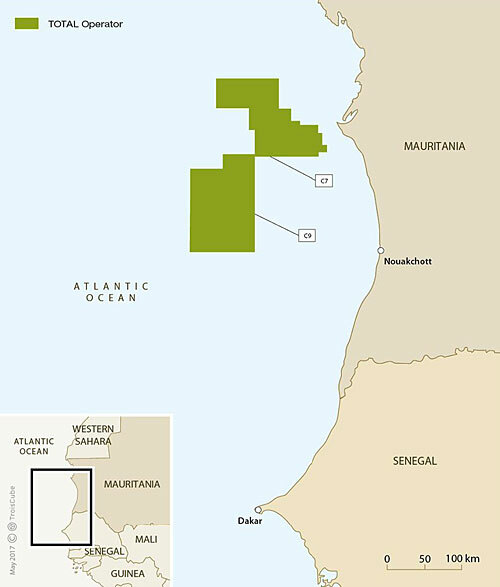 Total and Mauritania have signed an exploration and production contract to perform exploration works on Block C7, which covers an area of 7,300 square kilometres. The Group will be the operator with a 90% interest alongside the Société Mauritanienne des Hydrocarbures et de Patrimoine Minier (SMHPM) holding the remaining 10%. 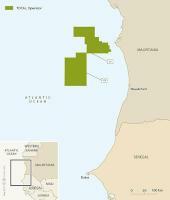 “This agreement is part of Total’s strategy to explore new deepwater basins in Africa. The addition of the C7 block to our existing C9 deepwater license creates a contiguous exploration area of around 17,000 square kilometres in a high-potential zone in offshore Mauritania,” says Guy Maurice, Senior Vice President, Africa at Total Exploration & Production, following his meeting with Mohamed Abdel Vetah, Minister of Petroleum, Energy and Mines of the Islamic Republic of Mauritania.